CloudApp IT, LLC: We're on the App Store! As I was determined to find out if anyone had purchased my app yet, I began thinking of ways I could figure it out. Then it hit me that a last minute feature that I added to my app might help. Google Analytics. It was very easy, maybe 5 minutes of work, to add analytics to my app. Google has made it so easy to do. The only negative with including analytics is the size of the library you have to include in your app. It's a little more than 1 MB which pretty much doubled the size of my app. But oh well. It was worth it. I anxiously logged on to the analytics portal and checked out my app's activity. Low and behold there was some activity!!! We had a couple of people in Europe and a couple Americans that had sent some activity over. I was ecstatic! As the day went on, there was little to no new activity in analytics. I began to worry about what to do now. I've put a lot of work into the app, and I didn't want to give up that easily. So I set out to find some review sites that would take a look at my app and give some exposure and feedback. App-score.com was the first site I encountered and they seem like awesome people! Rob from app-score.com emailed me literally within 2 minutes of submitting a review request. We exchanged 3 or 4 emails and he seemed like a nice guy. I gave him a promo code and hopefully he'll review my app. That got me excited about review sites, so I went to half a dozen more sites and submitted promo codes and review requests. Hopefully that will give my app a little more exposure and it won't die within one day of releasing. In any event, I've had a lot of fun with ScoreApp. It's been really exciting and we've still got some work to do. I'll report my success or failure with the review sites and update you on activity in my app next time. Until then, reach for the clouds! Puzzle Tiles! 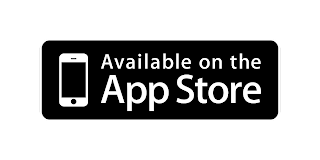 here & Download the app and enjoy it on your iPhone, iPad, and iPod touch.